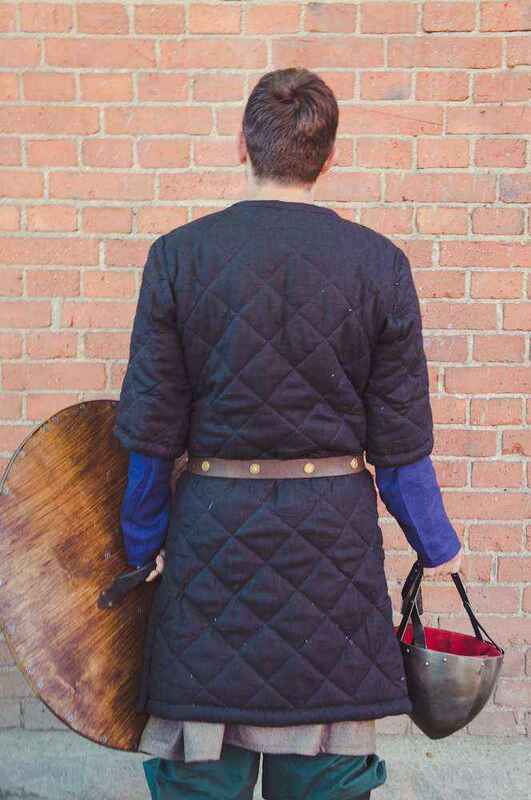 If you want this product with custom options, you can get it at Steel Mastery, our recently launched brand of custom made medieval products. 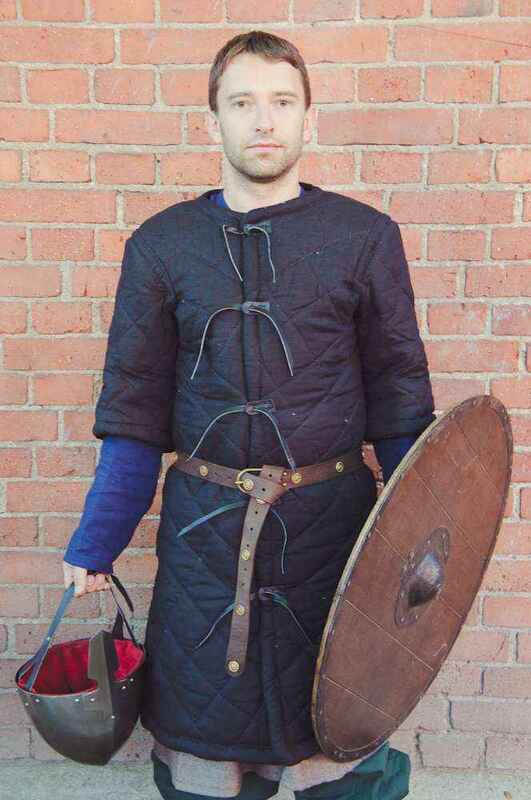 This model of norse armor is dated by VI-XIII centuries, thus classified as Early medieval gambeson. 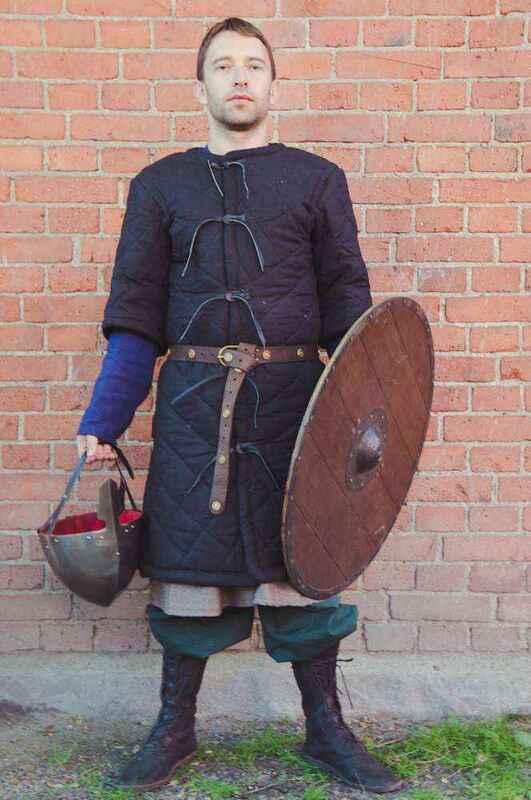 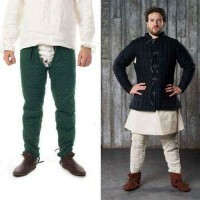 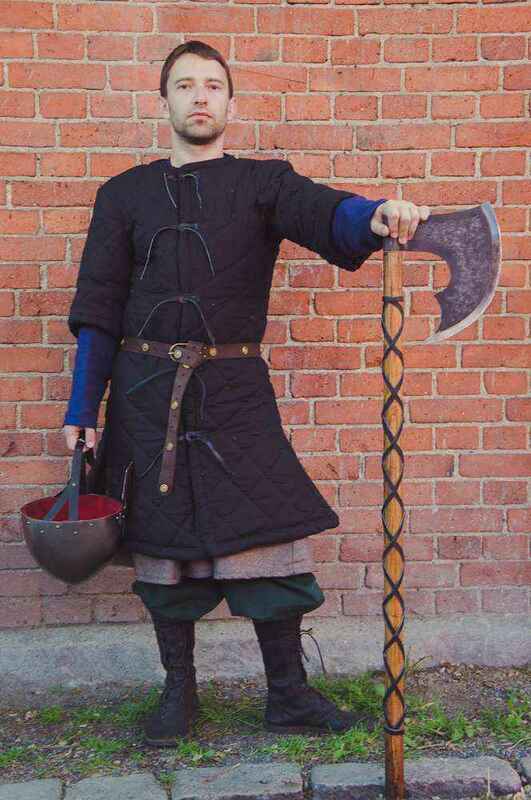 As viking outfit was not providing complete protection of the arms, this model is peculiar to people who did not take participation in close fights. 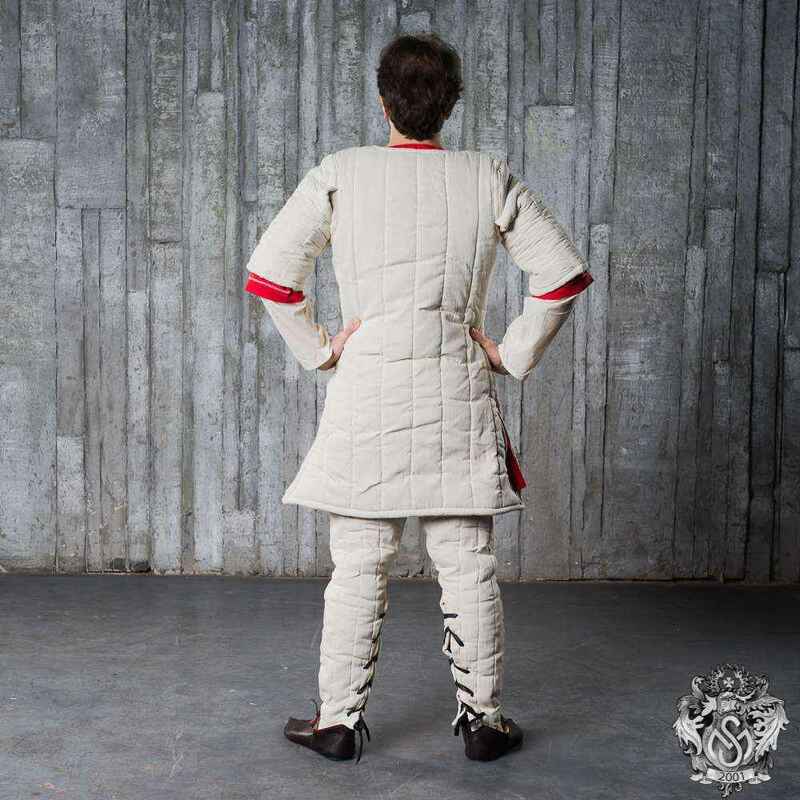 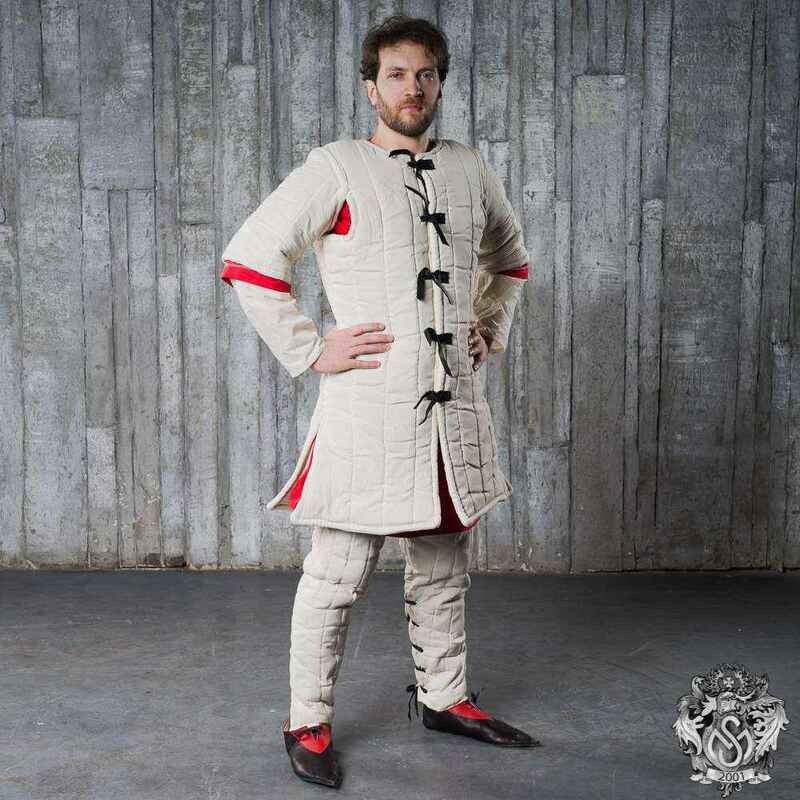 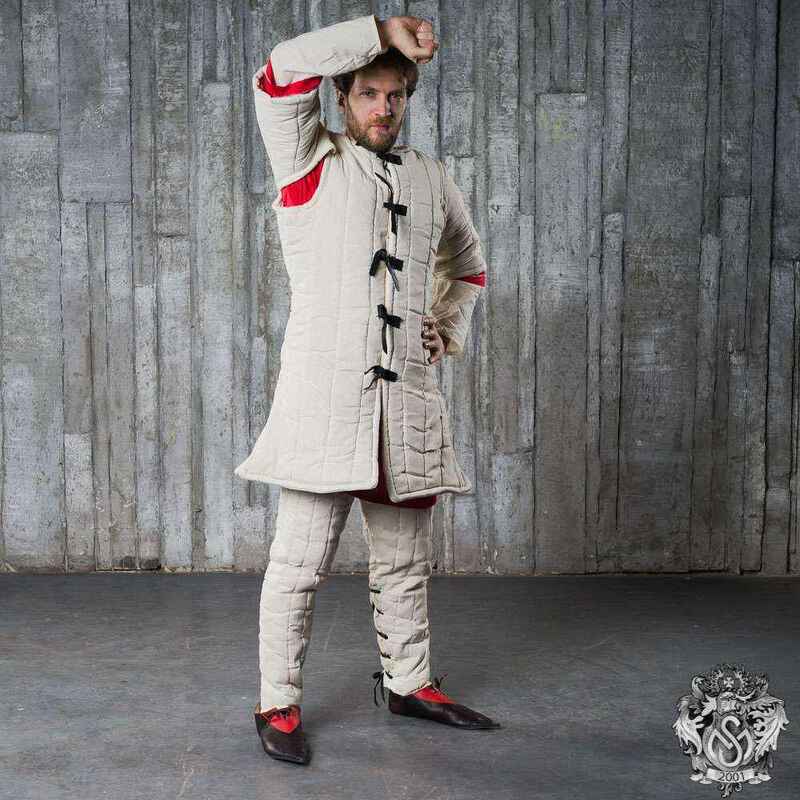 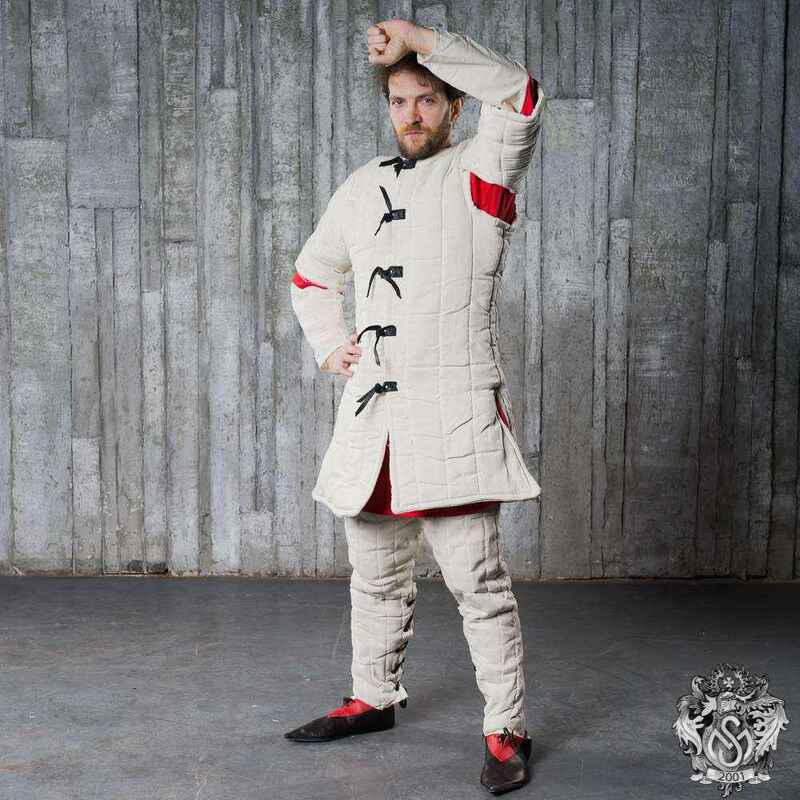 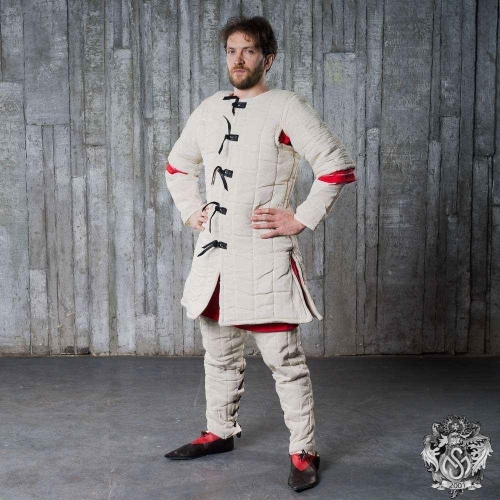 Together with long chausses, this viking age gambeson creates good set of viking padded protection. 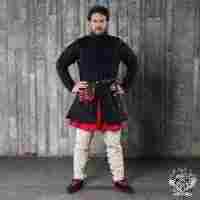 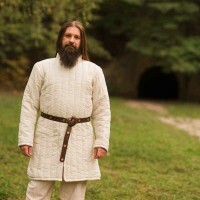 We use only 100% natural fabrics for manufacture of this viking gear.